The drive to evaluate operations and to contain costs is mistakenly applied as an operational issue across the board. Too often human capital assessments lumped into the systems theory world of process and become a technical asset for management’s diagnostic view for cuts. The result becomes an assessment or evaluation process that is really the disease responsible for symptoms such as high turnover, low morale, and mismanagement. Human capital is a sociological asset, an asset that does take up to 70% of your costs, but an asset that not treated like a process map or put on an accelerated depreciation schedule. 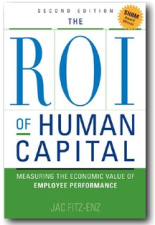 Human capital, like all capital, however, is an asset that is open to waste, depletion, or improvement. 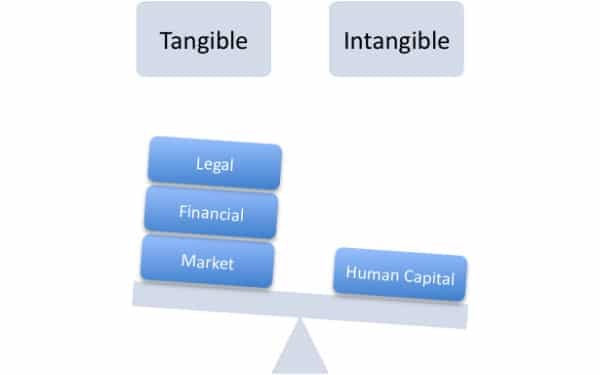 Human capital also has the same risk associated with other capital options and in the world of equity valuation, high human capital valuations positively relate to a venture’s valuation: it takes talent to create the good or service, the process does not create the good or service. Just as financial capital intends to reflect underlying or expected enterprise value. The reality is few want to dissect a market projection or discounted cash flow as purely fuzzy and inherently flawed. And fewer like to admit the longer the projected time line the more fuzzy these projections are. A case should be made that market and financial projections are really a greater leap of faith than any assessment of human capital value. Because human capital is an asset that cannot be controlled and managed wisely and managed with a waste, preservation, or acquisition in mind. 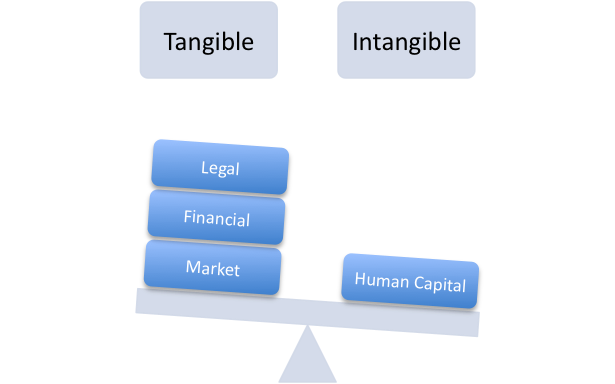 Unlike other capital, human capital is not as an asset that can be stored, banked, or squirreled away and human capital can neither be kept in reserve nor wheeled out of the shed for future use. Human capital has to be managed daily, otherwise human capital is wasted capital and an under-performing asset is a resource waste resources. How is human capital mismanaged in today’s knowledge economy and creative class? There is no surprise that people in organizations are often afraid to take risks. In spite of what gets said by their manager or presented in their organization’s values statement to encourage innovation, too many organizations create a culture that it only accepts risks as long as they get it right . People are incredibly perceptive to people who say one thing and do another and even more perceptive for organization cultures that say one thing, but reward another. I don’t know how many organizations expect to survive with a stable of average performers, at any level. Human capital is driven by motivation and each person’s view of their world. If you want an organization of high performers, you have to stop treating the symptom of low morale, high turnover, missed deadlines, cost over runs, market failure, and group-think and go after the disease: human capital as process after-thought. Stop treating the symptoms with a Lean/Six Sigma roll out, a business process re-engineering, a Total Quality Management, a weekend retreat, or an all-hands meeting and begin to treat the disease of your executive and management team looking at human capital with an opinion that those people are lucky they have a job or that their paycheck is sufficient motivation. In today’s world culture eats strategy for lunch. Toby, It is fascinating to me that while companies say they encourage the growth and development of their people, they invest lots of budget into assessments that give their employees – and their bosses – a fixed view of their capabilities. To your point, leaders like predictability, much like machinery. But predictability today is hard! Many of the problems you mention – cost overruns, market failures, etc. are not because people are flawed. It is because estimating and predicting is ridiculously hard. Talking about the pace of change, look at technology adoption cycles. They are so fast that the best we can do is manage assumptions and learn fast. That goes counter to the idea of typical project and initiative mindset – deliver on time, on budget, etc. If anything, the more valuable assessments will inform us of our people’s ability to handle risk and uncertainty – and then provide them with additional support, tools, training and coaching to become even stronger. People hope for stasis, as you mention. Today, resilience and constant change are reality. Too many leaders and organizations remain fixed in a 19th century delusion of stability. Talking out about change, but not hearing, managing, or willing to move from an industrial mindset to a knowledge-driven work force. Machines do not have moods, no personality, no motivation issues. A fatal flaw is hoping people are constant as the system around them faces constant change. Peter Principle or promoting people one level beyond their competence? Written in the 60s, relevant today. Performance reviews as proxy for effective, daily management? Until the top rewards the skills and abilities of handling risk and uncertainty than technical ability trumps effective management. Quantify motivation to bottom line results? I like what a recent CIO article Scourge of Performance Reviews draws attention to. We need to meet the challenge on the financial statement battle field. When Wall Street, stock price, valuation, and multiples reflect human capital resilience and human capital comparative advantage we get a seat at the table.